It was a busy first summer in the North, nothing feels as good as your own bed after four and a half expeditions. It was a short shoulder season for me this year, barely enough time to mow the lawn and rake the leaves before starting my winter contracts. I am once again working on heavy fire-fighting aircraft. As I write this I am in Australia, getting the fleet ready for the southern fire season. The machines will be up and running soon, and I will be able to spend the holiday season at home, focusing on important things like skiing and eating! When not on the river, I’m busy in the work shop building timber framed barns, carports and houses over the winter, with the help of my new Australian Shepard puppy Robert. I’m also going to be volunteering and teaching with an adaptive ski program on weekends, and going to Colorado to help teach a group of disabled US military veterans how to ski in April. After another awesome full season on the Tat & Alsek, I spent the fall learning the finer points of hemp harvesting (the non-recreational kind). No big plans for the winter, just hoping along with the rest of BC’s ski enthusiasts that 2018 will get as much snow as they’re predicting. After a full summer of trips on the Nahanni, I returned to Victoria to teach Geography and do some guiding for the school I work for. I was able to guide on a couple of whitewater kayaking trips and a surfing trip to Tofino. We have had a beautiful fall here on Vancouver Island and the rains have just started in the last couple of weeks which means water in the creeks for kayaking and snow in the mountains for skiing!! This winter I will be hanging out in the prairies and returning to my job as a soil sampler for Farmers Edge. Also, I am looking forward to some cross country skiing and all the other fun activities winter has to offer and of course will be dreaming about being on the river next summer!! I will be travelling with students from Acadia University’s Community Development program to Peru for the month of April 2018 to work in several communities exploring the impacts of Fair Trade practices in coffee, tea and cocoa production. On the home front, my boys are doing great as Keeler continues his studies in biology at Acadia University and my youngest Callan coaches and wins the 16 and under Nova Scotia Brazilian jiu jitsu tournament in Nova Scotia. After 2 Fantastic Firth trips in July I am back in Comox, enjoying all that Vancouver Island has to offer. I continue to work as a High school counsellor as well as coach the Schools Ski and Snowboard team on Mt. Washington. I have been a member of the Comox Valley Search and Rescue Team for the past three years and enjoy the opportunity to help others and refine my First Aid and outdoor technical skills. Life is full of family adventures and laughter with my Wife Karen and two daughters, Stella (11) and Sophie (9). As I wait for the snow to fall and the ski season to start, I look forward to yet another season of guiding and wonder what will be around the next bend. I’m back in Chicago doing the same! By day, I’m in my final year of my PhD in Philosophy. I’m developing a course on the ethics of climate change that I’ll teach in the spring at Northwestern and that I’m hoping to bring to the School of the Art Institute of Chicago next year. By night, I’m doing lots of comedy. I am currently continuing my work as a teacher and a principal. My wife, Lana Madsen, continues to work at Strathcona Wilderness Center. The winter finds us both in our skis at every possible opportunity. We are also busily grooming our two daughters to be cross country aficionados and paddling gurus. The spring and summer will see the entire family back in Rocky Mountain House operating HeLa (www.helaventures.com). With any luck, we will have a repeat of last year where we could ski in the morning, and paddle in the afternoon. Thank goodness for klister and dry suits!! The Preto family enjoyed a great rafting trip on the Yukon’s McNeil river this summer and it was fun to do a fly-in river trip together. Lisa is busier than ever as a fur sewing specialist and instructor throughout the Yukon. She recently spent a week up in Old Crow, teaching sewing at the town’s Yukon College campus. Rose and Sylvia are growing like weeds, learning to skate, and are both becoming very good swimmers and readers. Andy has organised a Judo instructor to come out to Haines Junction this winter to teach 5-9 year olds…Rose is very excited to learn some Judo moves! 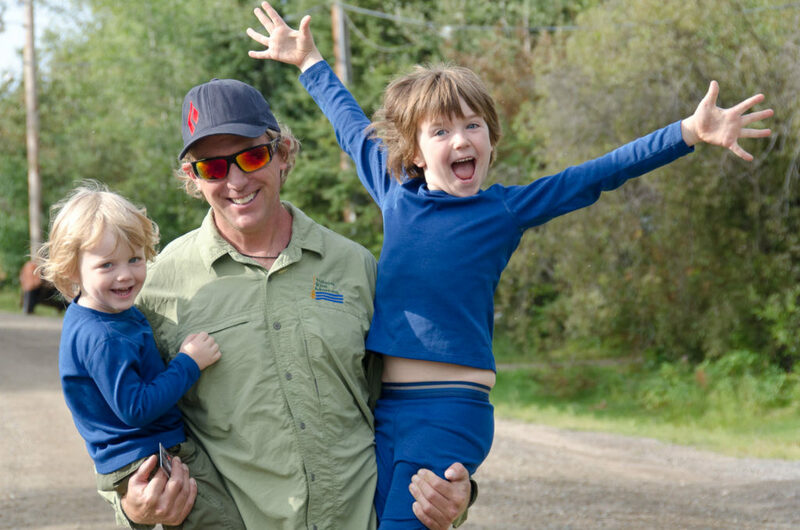 We have spent some time out at the Mayo trapline this fall and quite a bit of time at the Kluane trapline as a family. Andy continues to teach high school sciences and outdoor education at the Haines Junction School. So what’s the latest with Roger and Linda these days? Our off-grid cabin on the Maugagadavic river in New Brunswick continues to be our main project. It is quite comfy now, although we struggle to produce enough solar power as we near the solstice, sure brings awareness to your energy usage. 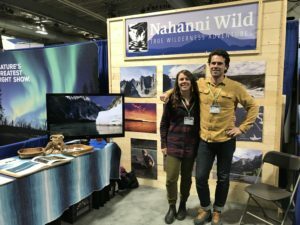 Our gypsy lifestyle continues, seeing us on an extended road trip for 8 of the last 12 months skiing and paddling our way from NB to Baja, then to the Yukon and back. Thanks to all our family and friends who, due to some minor miracle, welcome us back time and again. Highlights? Lifestyle in Baja, Tofino time, family fun in Vancouver, getting totally eclipsed in Idaho, Lakeside in Atlin and, of course, amazing Tat/Alsek adventures. Next on the to do list: an extended trip on the Stikine river! I am currently working ambulance in Golden part time and tail guiding full time at Chatter Creek again this winter. I will be completing my CAA Level 2 Mod 2 and 3 this season. I am also in the midst of planning a few back country hut trips this winter and hopefully celebrating my 40th in Costa Rica in early spring! Something happened this summer. I can’t really recall what exactly. Oh yeah, that’s right, I had two mind blowing trips down the Alsek. How could I possibly forget that?? Well we also had two mind blowing children this fall. Our yet to be named twin boy and girl were born November 1st, lovely and healthy. So we are now a family of 5! Sleep is for sissies. I think I’ll spend the Winter and Spring thinking of baby names, stressing about my PhD, and trying to find a way to continue being a raft guide. This summer I got the chance to go back to the fantastic Alsek River, after many years since seeing it last. Spectacular, just like I recalled it to be. The fall started off with a trip to Oregon and 5 days on the Rogue River. Warm water; what a novelty. Then back home where my time was divided between work and using the trails around Golden. Hi everyone! I just finished up the steelhead season with some well needed rest. I will be heading down the east coast for a couple of sharking expiditions in the spring with ocearch, check out the shark tracker on ocerch.org! I am also looking forward to a private Grand Canyon trip this spring! I hope to see some of you all on the Firth this summer, so come and join us! Me and my family are still loving the northern life after 12 years in Yellowknife, NWT. We welcomed a new member to our family on October 27th, Dashiell Warburton, and are figuring out new family routines! I am enjoying the short, clear and cold northern days but my mind is looking forward to getting back on the river next summer. Another great season spent on the mighty Firth river. I was able to meet some amazing clients and I was able to work on the Parks trip, including a photo contract to capture images to promote the Park, which was a first for me. Some images on my blog here: http://blog.tylergarnham.com/?p=929 I managed to get the sailboat over to the Gulf Islands for a few days in the early fall and got lucky with great weather. At home the boys now 6 and 9 keep us busy with all the sports and activities. I have another photo safari to lead in April 2018 in Botswana and that will keep me away for about a month. After another great season at Nahanni, I am currently living in Canmore. In my spare time I will enjoy skiing, Nordic skiing, hiking, mountain biking, stand up paddling and spending copious amounts of time outside. I’ve traveled a little this year too. I enjoy other cultures, music and art. A childhood dream this Fall has become a reality by visiting Nepal and the Himalayas. Trekking the Annapurna Circuit, breathing in the air above 5,000 metres in altitude is blowing my mind! Another magical experience I’ll treasure and hold close to my heart. The fall has been very busy with our new baby 🙂 . I am working at North Island College with the adventure guide program. I am also teaching rafting with SD 69, working at Comox Valley Marine and of course, looking forward to skiing and paddling local rivers. I’m still living on my sailboat in Hamilton bay, all winterized and ready for another season. 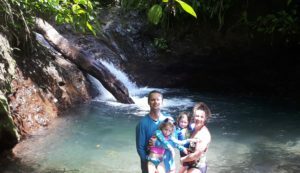 I’ll be heading to Costa Rica in mid February with my partner Kirsti and her son Isaac, touring around a little bit on the southwest coast. After my early season summer trips up north, I had a great couple of weeks over in Scotland with Kirsti and Isaac, for my mum’s 80th birthday. The three of us then flew down to southern Spain to see little bit of Andalusia, we also stayed in the Sierra Nevada mountains and hiked the highest peak in Spain, Mulhacen. To top off our adventure, we stopped in Iceland for a week on the way back from Scotland and toured around the remote north westfjords, had an amazing week of blue skies and great hikes with hot springs to end the days. I just moved to Vermillion, Alberta this past year and have had the pleasure of teaching at the same college as Travis (yes, we get to spend everyday together!). I spend my free time cross country skiing on the trails of Vermillion Park, with my son Jackson in tow. My daughter, Zoe, is already getting ready to go to Kindergarten in the fall. My kids are growing up fast! After a unique Summer in BC, especially on the Cariboo Chilcotin, the smoke has finally cleared and it seems the wildfires are behind us. The lake froze early where we live and there have been a couple weeks of great skating with family and friends. I am finally finishing up the world’s longest carpentry apprenticeship and am looking forward to writing my final exams in December. I hope to be significantly inconvenienced by huge amounts of snow this winter, fingers crossed. 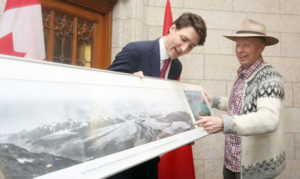 Next summer I have my sights set on the Best of BC Whitewater Expedition, down the Taseko, Chilcotin and Fraser rivers. The 2018 trip will have the opportunity to see some of the wildfire affected area in their first year of regeneration, and of course fantastic whitewater, hiking and camping too. Our family managed to spend quite a bit of time on the river together in 2017, we did a number of day trips and multi-day camping trips. It’s great to hear the boys reflect on the different rivers and rapids from the summer, but for the moment that is just reminiscing, and the real focus is on the ski hill. This winter, I will be working hard to put the finishing touches on my next book, Kingdom of the Sky (or maybe skiing instead), preparing for a difficult self-imposed assignment — one complete year of surfing each and every day (taking my family of course, since Bodi and Taj are all named after surfers.) But I yearns for the north, and am stealthily plotting a return to those rivers in the not too distant future.